TypeScript output Generate programmer-friendly TypeScript code, including definitions for well-typed interoperability with TypeScript programs.  Extensibility JSweet is an open transpiler. It means one can add extensions to JSweet in order to tune the generated code and support more APIs/Libs/Contexts/Use Cases. JSDoc Transform JavaDoc comments to JSDoc comments. 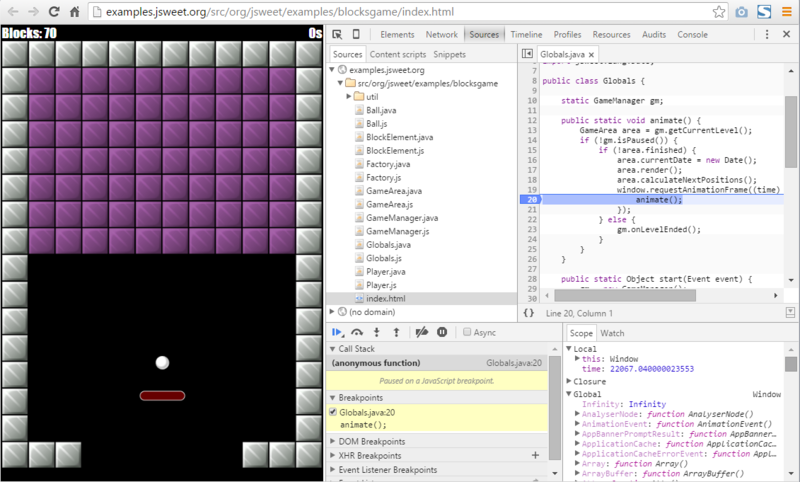 Source maps Generate source maps to debug the original Java code when running within the browser. Node.js, Angular and modules Generate web bundle for any browser and commonjs modules for Node.js, Angular 2+, and so on. More information? Comparison with other frameworks? Read the FAQ. Eclipse integration: the call hierarchy view example. 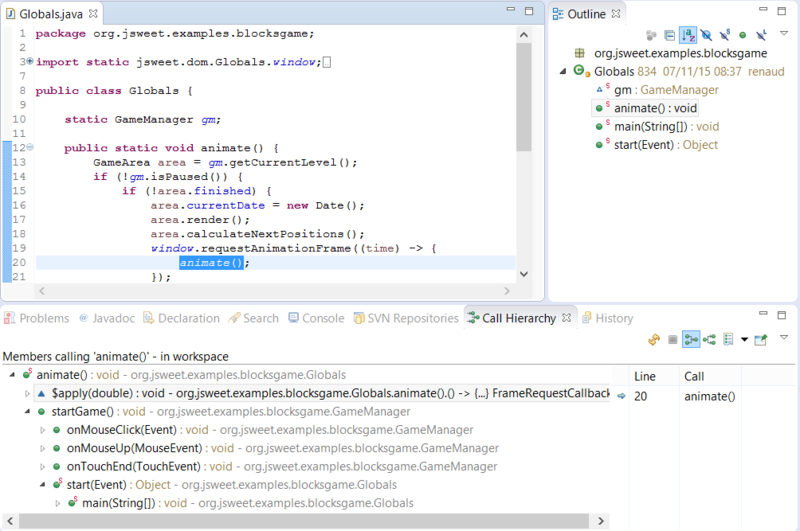 Debuging Java code right into the browser (or in Eclipse using SDBG).